The culmination of 10 years of collaborative research between scientists from the Queensland Institute of Medical Research (QIMR) and The University of Hong Kong (HKU) Li Ka Shing Faculty of Medicine has led to a significant breakthrough in the treatment of nasopharyngeal carcinoma (NPC), an aggressive throat cancer with a high prevalence in South-East Asia. NPC is associated with Epstein-Barr virus infection in a manner similar to the association of hepatitis B virus and liver cancer. By using immunotherapy, the human body’s own immune system was used to successfully fight the disease. Professor Rajiv Khanna who heads the Australian Centre for Vaccine Development at QIMR said by enhancing the immune cells of NPC patients they have doubled the survival time of terminally ill patients. “The presence of EBV in the cancer cells gives the body’s immune system a definite target to help battle the NPC, resulting in few side-effects,” Professor Khanna said. “Patients who participated in the trial were in the late stages of the cancer and quite unwell, so it was important to ensure the treatment was non-invasive, non toxic and did not damage healthy cells. “By offering such targeted treatment, we were able to increase the expected time of patient survival from 200 to over 500 days, which is an extremely positive result. Twenty four NPC patients were recruited at the Queen Mary Hospital, the teaching hospital of HKU in Hong Kong and the trial has recently been expanded to the Princess Alexandra Hospital in Brisbane. Blood was taken from patients then transported to QIMR where the white blood cells (lymphocytes) were grown and trained to specifically recognize EBV infected cancer cells. These trained immune cells (also referred to as immunotherapy) were then returned back to Hong Kong and infused into the patients where they would selectively kill EBV infected cancer cells. The patients were then closely monitored and followed up for side effects by the oncologists at the Queen Mary Hospital. “The majority of our study participants are located in Hong Kong, but this novel immunotherapy was prepared at QIMR in Brisbane using our highly specialized manufacturing facility, Q-Gen,” Professor Khanna said. The results of this study have been published in Cancer Research and can be viewed at http://cancerres.aacrjournals.org/. CEL-SCI Corporation announced that the State of Israel’s Ministry of Health has given approval to begin enrolment of subjects for a phase III clinical trial of Multikine in Israel. Israel is one of nine countries to participate in this global phase III trial. The phase III trial will be conducted in approximately 48 clinical centres. CEL-SCI’s partner Teva Pharmaceutical Industries will be conducting the trial at three clinical centers in Israel. The phase III trial started in the United States in late December 2010 and is expected to commence in other countries around the world within the next 30-60 days. Multikine is the company’s flagship immuno-therapy developed as a first-line standard of care in treating head and neck cancer. CEL-SCI’s phase III clinical trial is an open-label, randomized, controlled, multi-centre study designed to determine if Multikine administered prior to current standard of care (surgery plus radiotherapy or surgery plus concurrent chemo radiotherapy) in previously untreated subjects with Advanced Primary Squamous Cell Carcinoma of the Oral Cavity/Soft Palate (Head and Neck cancer) will result in an increased overall rate of survival, versus the subjects treated with standard of care only. CEL-SCI’s 880 patient phase III trial is expected to be the largest clinical study of head and neck cancer ever conducted. It is also the first trial in which immunotherapy will be administered before any other traditional means of care are attempted. This is significant because conventional cancer therapy weakens the immune system and likely compromises the benefits of immunotherapy. Phase II clinical trials of Multikine demonstrated that the product was safe and well-tolerated and eliminated tumours in 12% of the subjects less than a month into treatment. The Multikine treatment regimen was also shown to kill, on average, about half of the cancer cells in the subjects’ tumours before the start of standard therapy. Follow-up studies of subjects enrolled in phase II trials showed a 33% improvement in the survival rate of those treated with Multikine at a median of three and a half years following surgery. The US Food and Drug Administration granted orphan drug status to Multikine in the neoadjuvant therapy of patients with squamous cell carcinoma of the head and neck. CEL-SCI Corporation is developing products that empower immune defenses. Its lead product, Multikine is currently being tested in a global phase III clinical trial that started in December 2010. In phase II clinical trials Multikine was shown to be safe and well-tolerated and to improve the patients overall survival by 33 percent at a median of three and half years following surgery. Cel-Sci Corp. began a carefully designed Phase III trial of Multikine, its investigational immunotherapy for head and neck cancer. Because Multikine is designed to recruit the support of a mostly healthy immune system, Cel-Sci is making a headlong charge at the goal of first-line therapy, instead of trying to develop the product in patients who have already received surgery, radiation and chemotherapy, and have suppressed or damaged immune systems as a result. If Cel-Sci can prove the therapy works in the narrow three-week testing window granted by the FDA, Multikine stands to replace a standard of care that has changed little in half a century. “It makes no sense to develop an immunotherapy product for late-stage patients. You should develop it as a first line therapy, ahead of radiation or chemotherapy,” Cel-Sci CEO Geert Kersten told BioWorld Today. Vienna, Va.-based Cel-Sci’s clinical trial plan takes advantage of a nearly inevitable delay of up to six weeks between diagnosis and surgery in most head and neck cancers. The FDA has allowed Cel-Sci a three-week period to give Multikine to patients before they commence with surgery, radiation, and chemotherapy. This will not deprive any patients of the best possible standard-of-care while they also try an experimental therapy. Head and neck cancer strikes about 500,000 people annually worldwide. Some causal factors include smoking, drinking and chewing tobacco. Most cases are diagnosed outside the U.S., and about two-thirds of patients appear with advanced disease. The standard treatment for it is surgery followed by chemotherapy with platinum-based drugs (carboplatin or cisplatin) and radiation, which is sometimes done concurrently with chemotherapy. The protocol is arduous, to say the least, and typically only extends survival by six or seven months. Most immunotherapies are antibodies specifically targeted at a type of cancer cell. Multikine is a mixture of natural cytokines that Cel-Sci said simulates the body’s immune response. It includes interleukins, interferons, chemokines and colony-stimulating factors. The trial will enroll 880 patients at 48 clinical centers in the U.S., Canada, Hungary, Poland, Ukraine, Russia, India, Israel and Taiwan. According to Kersten, the trial design is highly portable because the same standard of care for head and neck cancer is used around the world. Cel-Sci partners Teva Pharmaceutical Industries Ltd., of Jerusalem, and Orient Europharma Co. Ltd., of Taiwan, will carry out studies in Israel and Taiwan, respectively, under the supervision of Cel-Sci’s global contract research organization. Cel-Sci has not partnered Multikine in major markets like the U.S. and Europe. “We can sell ourselves there,” said Kersten. Teva and Orient will help Cel-Sci access markets in the developing world. Taiwan, especially, will be an important market, since the use of betel nut (a mild stimulant) in that country leads to a high rate of head and neck cancers. Based on the Phase II results, Cel-Sci is optimistic about hitting statistical significance with at least a 10 percent increase in survival. Multikine’s route of administration also differs from other immunotherapies, which are given intravenously. 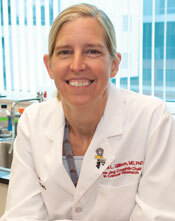 According to Kersten, the goal is to stimulate a localized immune response at the site of the tumor. The therapy is injected in the vicinity of the tumor not in the tumor itself. There are two reasons for that. One is that injection directly into the tumor risks dispersing tumor cells. The second, larger reason, is that Cel-Sci is attempting to target the therapy at micrometastases that form outside of the main tumor. It is micrometastases that cause recurrence, said Kersten, because they can’t be removed surgically. The Multikine strategy for increasing survival is to decrease the odds of metastasis by wiping out the micromets at the very earliest stage. Kersten said that the drug has been given to 220 patients to date, with no serious adverse events. The low toxicity of Multikine will be an asset to patients who will be subjected to the highly toxic standard-of-care regime later. “Our drug wouldn’t work if it had any toxicity. You can’t add a toxic drug to anything that is horribly toxic,” he said. “The most important thing for clinicians to do is be aware that trials are being developed and strongly encourage their patients to participate,” she said. BioMedReports, the news portal which covers Wall Street’s biomedical sector and delivers financial and investment intelligence to a community of highly informed investors, was given an exclusive tour of CEL-SCI Corporation’s new, state-of-the-art manufacturing facility near Baltimore, MD where the potentially ground breaking cancer immunotherapy treatment, Multikine, will be manufactured to support an upcoming Phase III clinical trial. Multikine is the company’s flagship immunotherapeutic head and neck cancer treatment and is the first immunotherapeutic agent being developed as a first-line standard of care cancer treatment. Because it required a very specific cold-fill process for manufacturing, the Phase III trials have been on hold as Cel Sci dedicated the majority of their time and resources to build the new best-in-class production facility. Additionally, once the facility is validated, Cel Sci will become the only entity offering the 4°C cold fill on a contract basis, meaning the potential to bring in significant revenue as an added bonus does exist. Pharmaceuticals company, Abbott (Des Plaines, IL), announced an agreement with GSK to develop an automated molecular diagnostic test, also based on RT-PCR technology, to screen non-small cell lung cancer (NSCLC) tumors for expression of the MAGE-A3 antigen. GSK’s MAGE-A3 ASCI (antigen specific cancer immunotherapy) candidate is currently being evaluated as an adjuvant treatment in resected NSCLC in the Phase III clinical study MAGRIT, the largest lung cancer treatment study ever conducted. The GSK-Enigma partnership aims for joint development of the Enigma ML (mini laboratory) PCR platform to deliver fully-automated results from swab samples in less than 60 minutes at the point of care–to the same accuracy standards as reference laboratories. Thus, patients can be tested for specific influenza subtypes and quickly receive appropriate treatment. Operators of the Enigma ML system will not require specialist training. A trial involving working prototypes of the ML system with front line health care providers across Europe is planned for Q4 2009. Launch of Enigma ML is anticipated in early 2011, subject to successful clinical trials and regulatory approval. Under terms of the GSK-Abbott agreement, the partners will develop and commercialize an RT-PCR test–designed to detect MAGE A3–for use on the Abbott m2000 automated instrument system. Currently, there are no nucleic acid based tests approved by the U.S. Food and Drug Administration for use in identifying patients who may derive treatment benefits from targeted non-small cell lung cancer therapies. “Lung cancer is the biggest cancer killer globally,” said Vincent Brichard, M.D., Ph.D., vice president and head of Immunotherapeutics, GSK. “Through this partnership we aim to make MAGE-A3 testing of lung tumors available in standard pathology labs around the world. This means patients globally could be able to find out if they are eligible and can potentially benefit from targeted cancer treatment against this antigen, such as GSK’s MAGE-A3 candidate ASCI.” MAGE-A3 is a tumor-specific antigen that is expressed in non-small cell lung cancer and a wide variety of other cancers (including melanoma, head and neck cancer, and bladder cancer), but not in normal cells. To be eligible to receive GSK’s MAGE A3 ASCI, patients must have MAGE-A3 expressing NSCLC tumors. GSK says its ASCIs represent a novel class of medicines designed to train the immune system to recognize and eliminate cancer cells in a highly specific manner. They combine tumor antigens, delivered as purified recombinant proteins, and GSK’s proprietary Adjuvant Systems, which are specific combinations of immunostimulating compounds selected to increase the anti-tumor immune response. ASCIs are being investigated in the clinic to support their use to reduce the risk of tumor recurrence following surgery, or to impact tumor growth in an early metastatic setting. The highly specific mode of action of GSK’s ASCIs allows development of diagnostic tools to aid in selecting patients eligible for the treatment, depending on the expression of the tumor antigens.